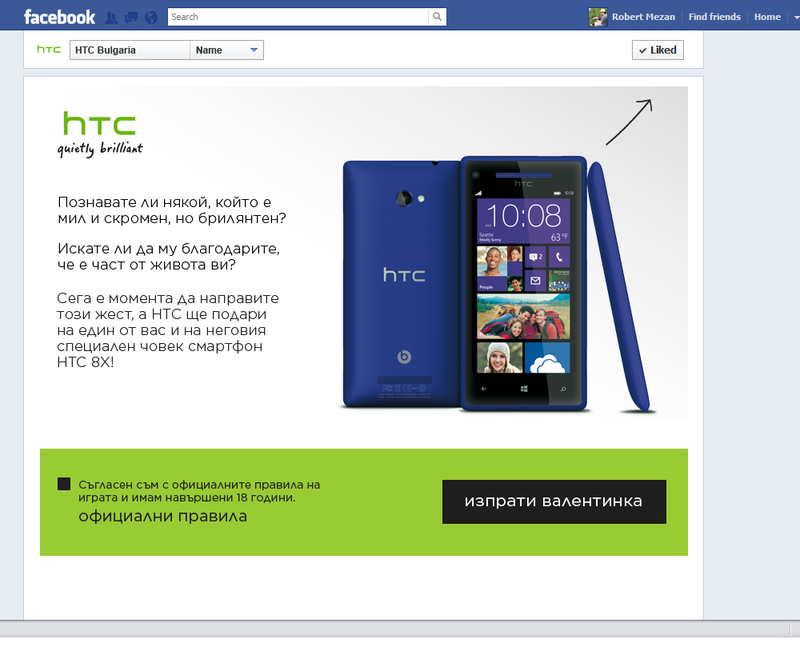 Design and development of Facebook application for HTC Bulgaria – Who is your Quietly Brilliant person? The HTC Valentine Facebook аpp contains custom Valentine cards which the users can send to friend on Facebook. 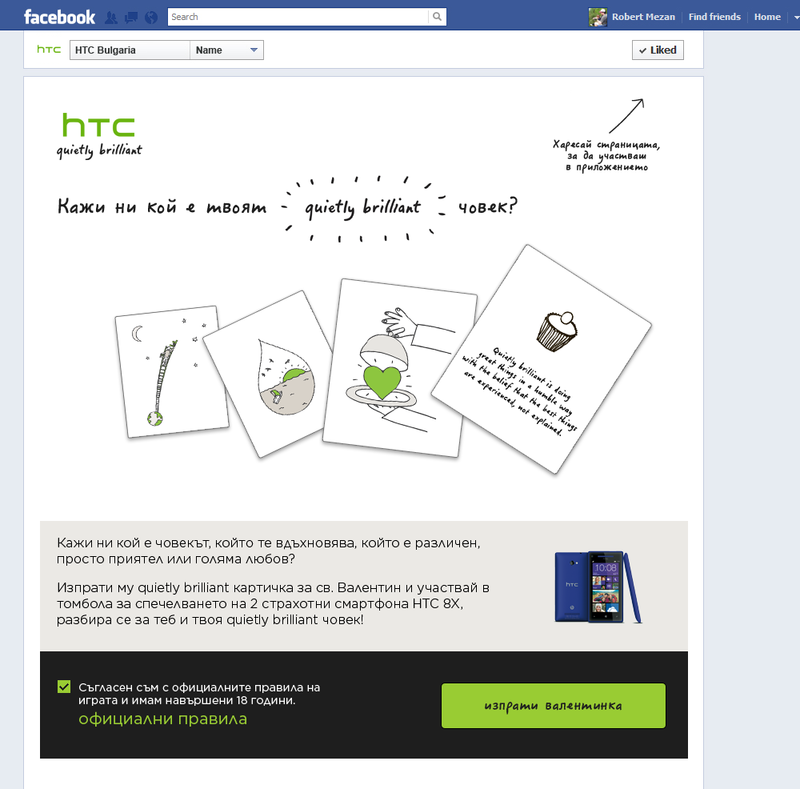 The application was supported with Facebook ads and the campaign delivered the following results: more than 3000 new fans of the HTC Bulgaria Facebook page and more than 6000 Valentine cards sent by users.